“In 1936 nine working-class American boys burst from their small towns into the international limelight, unexpectedly wiping the smile off Adolph Hitler’s face by beating his vaunted German team to capture the Olympic gold medal. Daniel James Brown has written a robust, emotional snapshot of an era, a book you will recommend to your best friends. “A lovingly crafted saga of sweat and idealism that raised goosebumps from the first page. I was enthralled by the story's play of light and shadow, of mortality and immortality, and its multidimensional recreation of the pursuit of excellence. This meditation on human frailty and possibility sneaks up on you until it rushes past with the speed of an eight-oared boat." 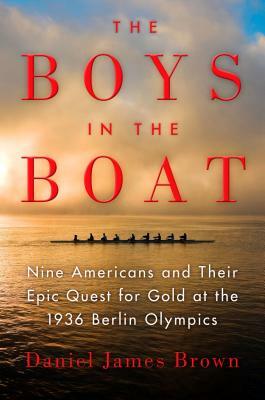 “The Boys in the Boat is an exciting blend of history and Olympic sport. I was drawn in as much by the personal stories as I was by the Olympic glory. A must read for anyone looking to be inspired!" “The Boys in the Boat is not only a great and inspiring true story; it is a fascinating work of history."